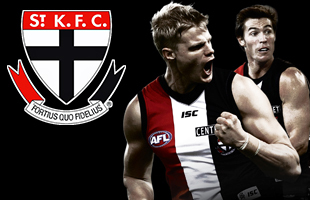 The St Kilda Saints will visit Wellington in January, and the AFL will place two fulltime staff in the city, as preparations step up for next year’s historic Anzac Day clash with the Sydney Swans. UPDATE: HAWTHORN has committed to listing New Zealand prospect Kurt Heatherley as an international rookie when he becomes eligible at the end of next season. Once the two easy beat teams of the league, they have now become powerhouse clubs, and just like a Geelong V Hawthorn game the encounters between the reigning premiers Mid Canterbury Eagles and the previous winners the Christchurch Bulldogs are hotly contested affairs. New Zealand is the next frontier for the AFL – in the short term and beyond. The AFL want to start attracting elite Kiwi sportsmen into the draft. The inaugural AFLNZ Community Awards were held on the 29th of September, AFL Grand Final Day. It was a casual and fun occasion attended by AFLNZ associates, staff and members of the wider AFLNZ community. ST Kilda head of football Chris Pelchen believes New Zealand could field a stand-alone AFL team within 20 years. The Victorian Amateur Football Association continued its unbeaten record against the New Zealand Hawks with two wins over the Under 18’s in Wellington on the weekend.